The Brazilian real, like most other currencies, rallied against the US dollar today despite monetary easing from Brazil’s central bank. 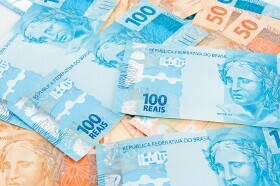 The Central Bank of Brazil cut its main interest rate to 13% at its January meeting. The 75 basis points cut was bigger than the average market expectation of a 50 points reduction. Yet that did not push the real lower versus the dollar as the impact of Donald Trump’s press-conference was still driving markets. USD/BRL dropped 1% to 3.1649 as of 11:54 GMT today.